Right now, Connecticut's water polluters are spending millions to lobby their allies on Capitol Hill to block the clean water rule, which, if adopted, will help protect the drinking water of 2.24 million Connecticut residents that is currently at risk to pollution. A bill to stop the clean water rule is currently pending in the House of Representatives. 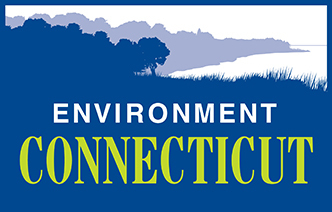 Send a note to your representative asking him or her to not be influenced by polluters, but to listen to the majority of Connecticut residents who want to move forward with protecting our waterways and drinking water. It has come to my attention a bill has recently been introduced in the House of Representatives aimed at blocking the clean water rule. As a member of your district, I encourage you to support the rule. Currently the drinking water of 2.24 million Connecticut residents is at risk to pollution. Clean water is critical to our way of life. For that reason, clean water is the highest polling environmental issue, year in and year out. The vast majority -- more than 4 out of 5 -- of the people who commented on the clean water rule did so in support of the rule. Please listen to the public, not the polluters. Ever since the Clean Water Act was passed, polluters have been trying to dismantle it. They’ve mounted challenge after challenge trying to poke holes in the law’s ability to protect our waterways. Polluters have claimed that the Clean Water Act imposes enormous costs, but there’s no reason to take these complaints seriously. Again and again, the actual costs have been far lower than they predicted. In fact, almost always below the EPA’s predictions. And besides, you can’t really put a price on clean drinking water! Please support the clean water rule and oppose the legislation aimed at blocking it.